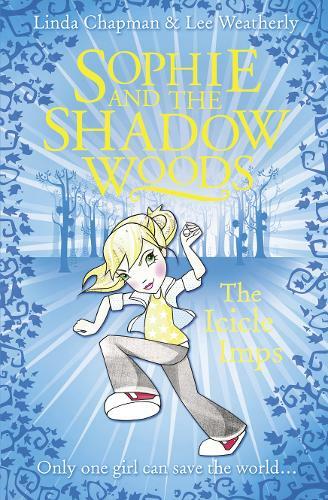 On her tenth birthday, tomboy Sophie learns she is the Guardian of the magical gateway, and that her destiny is to protect the human world from the goblins, trolls and evil sprites that inhabit the Shadow Woods. Each book sees Sophie having to outwit weird and terrifying creatures from the Shadow Woods, and in this fifth action-packed adventure, it's the turn of the nasty Icicle Imps! This Shadow Creature may look like a fluffy snowball on legs but Sophie quickly learns that appearances can be deceptive Stand between them and a Shadow gem and watch the Imps turn into mini-monsters with razor sharp fangs and teardrops that turn into daggers of ice! When the Imps run amok at Sophie's town's summer fete, Sophie has to think on her feet and stretch her Guardian powers to the limit.